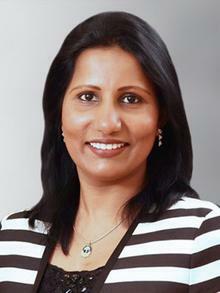 Global cybersecurity leader Forcepoint has announced Meerah Rajavel joins the company as its new chief information officer (CIO). A member of the executive leadership team, Rajavel will guide Forcepoint’s technology and infrastructure strategy, lead the global information technology organization and play a central role in extending Forcepoint’s delivery of cloud-based cybersecurity capabilities to customers worldwide. Rajavel brings more than 25 years of experience in information technology to Forcepoint. Most recently, she was the CIO at Qlik, a visual analytics company, where she led efforts to build an IT and operational excellence strategy to support rapid growth on a global scale. Before joining Qlik, Rajavel led IT cloud services for all McAfee products at Intel Security. Earlier in her career, she held IT leadership, research & development and product development roles at Cisco Systems, Infosys, Nortel, Cybersource and Solix. Rajavel holds a Bachelor in Computer Science and Engineering from Thiagarajar College of Engineering, Madurai, India. She also holds a Master of Business Administration from the Leavey School of Business, Santa Clara University, California.